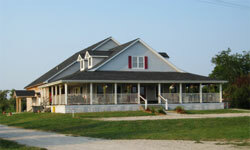 If you are looking for a great getaway for any season, consider a visit to a South Haven, Michigan bed and breakfast. South Haven offers old world charm and maritime history, beautiful seascapes and outdoor adventures, just waiting to be explored. There is a reason why the slogan for the state is "Pure Michigan" and South Haven has to be it! The apple orchards and wine cellar at McIntosh Apple Orchards offer a great place to spend the day when visiting South Haven, Michigan! Whether you enjoy a fresh cup of apple cider or attend a wine tasting and explore the 76 acres of orchards; you are sure to be enticed by the old world charm. Originally planted in the 1860s, the McIntosh family purchased the orchards in 1997. McIntosh Apple Orchards are open Wednesday through Sunday and offer seasonal hours. For the best times to visit, contact the orchard directly. Wine tastings are available by appointment with special events throughout the season. 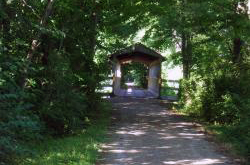 If spending the day in the outdoors appeals to you, then Kal Haven Trail State Park is the place to be! Visitors to the park will discover an activity for every season including hiking, biking, snowmobiling and cross country skiing. If you prefer something less strenuous, try wildlife watching as you are sure to see everything from fowl to the furry type. The trails at Kal Haven pass between the cities of South Haven and Kalamazoo and offer scenic vistas from bridges and historical points of interest. 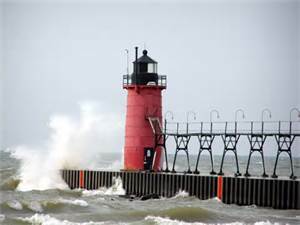 If you are a lighthouse aficionado, then you will not want to miss a visit to the South Haven Lighthouse, especially the one at South Haven South Pier which dates back to 1872 and is the original lighthouse to the area. First made of wood, the lighthouse was updated in 1903. Today, it is made of steel and sits across a catwalk. South Havel South Pier Lighthouse is open to the public and the grounds surrounding the lighthouse offers a picnic area, a public park and a snack stand. The Michigan Maritime Museum serves as a memorial and museum to maritime history of the Great Lakes. The Michigan Maritime Museum is comprised of five separate buildings, each one offering a particular interest including boat building, exhibits, a research library, boating skills and the museum. Visitors can experience an exhibit that celebrates the 200h year anniversary of the War of 1812 at War on the Great Lakes. This exhibit is filled with memorabilia, artifacts, historical documents, weapons and replicas of the ships that fought in the War of 1812. 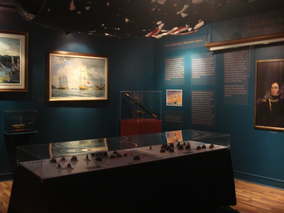 The Michigan Maritime Museum is open daily. Museum admission is $6 for adults; $4.50 for children and $5 for seniors. The museum offers special sailing packages with seasonal pricing, so check with the museum for details or visit the museum website by clicking the link.